Age + Birthdate: 64 years old, born on May 19th. Sexuality: Straight and, unfortunately, widowed. Personality: As he is a devout priest, he believes in his faith very strongly, with his most important goal in life being to spread the word of the God of Sasan. His devoted attitude towards this is unprecedented, but he does not follow it blindly nor forces himself on others, rather he seeks to preach his word in peace, not seeking to actively convert others but to merely inform others of the truth of the White Rukh. He is an extremely severe man, who takes his work very seriously. Not only must he preach to others, but he has to balance his workload as the head of a large religious organisation as well as the de facto landlord of several properties devoted to teaching. Many of the buildings he has opened are dedicated to charitable causes, such as the homeless or the poor, as he believes all people should have equal chances, and that it is merely that which is outside of God's will who force it not to be so. Many would call him generous for this, but he just views it as his duty in this world. He is also rather charismatic, being able to command the attention and power of a large establishment with many strong individuals, who all seem to hold him in high regard and have great respect for him. Likes: Equality - with his primary work being equivalent to humanitarian awareness, he is very involved with promoting equal rights for all. Due to this, he is against slavery and is at odds with many of the world's governments. Helping people - whether they are heroes or villains, he believes everyone has the capability for compassion and as such will go out of his way in order to show this by giving everyone an opportunity to turn their life around. Be it a small donation to charity, or giving a mercenary the chance of a new and honest life, he will do all he can to help. Tea - one of his greatest pleasures, he finds it to be very relaxing to just sit down after a good day's work and brew a cup of tea, particularly if the leaves are from his own garden and as such homegrown and handpicked. Curiously enough, one of his other pleasures of gardening and that sort. Dislikes: Blind Ignorance - he has a strong distaste for people who judge people without actually knowing them. Alcohol and Drugs - while he is fine with their usage as medication to help others, he personally finds them to be an annoyance that only acts to cloud the mind and as such obstruct him from taking clear views on things. Aspirations: At the base of all his goals, is this one idea: that the White Rukh is given to all people no matter their standings or wealth, it is this that makes everyone equal. It is the founding principle of the whole world that everyone receives the White Rukh, but there are those that have rejected this and caused ripples in the structure of the world. Poverty, war, famine, they are all caused by those who refuse to accept the White Rukh and as such have caused an imbalance in the world. These people are who Silius wishes to deal with. As he believes that everyone should live in a harmonious peace, free from the horrors of war, he wants to tear out the source of this disturbance to avoid anymore grievances. His more imminent goals are to supply poorer countries with better education, clean water and that sort of thing. He has also taken part in movements against recent wars, most prominently and concurrently, the Kou civil war. A more personal goal of his is for him to polish up his now rusty skills as a magician, to use against the source of the disturbance which will require him to use his own strength. Phobias/fears: He has fears that there are some who cannot, or will not, accept others and that his goal of equality is to far stretched. Even more, he fears there are those who have completely rejected the White Rukh, for they are the ones causing the deviations that produce the negative side effects that eventually cause others to fall from grace, a sort of infinite domino effect. And moreover, he hates the thought that, when it comes down to it, he cannot do much to actually prevent everything he fears will happen, from happening. Hair Color: White hair from his old age. Eye Color: Light blue eyes. Appearance: Being an aged man in the later years of his life, Silius’ hair has whitened, with a few grey streaks running in parallel along. Unlike his time as a priest in Sasan, he leaves his head bare, revealing a small bald patch on the very top of his head. His eyes, a light blue like that of the sky, are in an almost constant stern expression. He wears simple, plain white robes overlain by a thick silken band of fabric, that wraps around the waistline of the robes, underneath a red collared cloak with a small white cloth wrapped around his shoulders on top of that. In addition, a stole hangs on his shoulders, with the left end decorated with an ornately embroidered golden six pointed star and no fringing. Special Features: He is finely tuned with the White Rukh, though has gotten quite rusty in recent times. History: Brought up in the Holy Kingdom of Sasan, Silius studied their teachings since he was very young; as his family required him to do. By taking on the mantle of a priest, he hoped to understand more of the teachings. And so he did, meditating however many hours a day to perceive the principles of the White Rukh, learning many different magical techniques as he did so. After many years of meditation, praying and lecturing, he decided to spread the word to the rest of the world. However, doing this would be in violation of Sasan's strict rules in relation to those who leave the kingdom. If he left the city, he would be exiled from Sasan forever. He did not hesitate, and defied Sasan law to escape. His fellow priests gave him a safe route out, having sympathised to his point of view but were satisfied with their comfortable lives. With this newfound liberty, he took his time to venture round the various cultural capitals of the world, absorbing the different methods of worship, magical skills, and varying ideologies to consolidate his own faith and expand upon it. After many years of this, he set up an offshoot sect of Sasan's religion, which he formed by gathering the many like minded people that he met and worked with during his travels, most from a previous religious, and created a priesthood based on a fusion of Eastern meditative techniques and Sasanian prayer. His first destination (after the founding of this priesthood) was determined to be Reim, as they gave him the space to preach his word freely and to big crowds at that. After his first few speeches in the public forums, he managed to garner respect and admiration from the lower classes and sponsorships from the wealthy. Using this money, he set up an institute in a suburban area where he gave shelter to children with a poor background, or those who were orphaned. This gathered much support and gave him enough to sustain his institute. His resolve was such that he expanded his outreach into even Balbadd, building several more institutes. He is known for his work on the battlegrounds of the world, tending to the wounded and acting in order to bring peace back to lands in a state of war. Currently, he is on the frontline of Kou where he is helping the sickened soldiers, and ensuring that innocent civilians whose homes have been destroyed in the course of the war have places to stay, clean water to drink, and food in their belly. However, he has seen what this conflict has caused, a great amount of anomalous properties on the form of Black Rukh, and he believes it is time he take up his staff and face the source of this, rusty he may be from the decades of not using it. If you have any questions AT ALL, feel free to PM me at any time! Or if you can catch me in the C-Box or Discord, I'll be willing to help you there as well. [b]Age + Birthdate:[/b] 64 years old, born on May 19th. [b]Sexuality:[/b] Straight and, unfortunately, widowed. 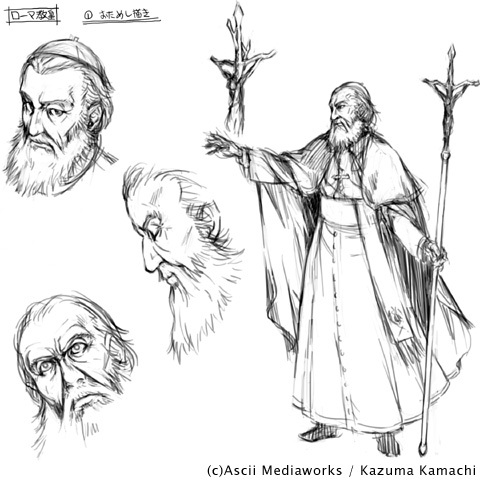 [b]Personality:[/b] As he is a devout priest, he believes in his faith very strongly, with his most important goal in life being to spread the word of the God of Sasan. [b]Likes:[/b] Equality - with his primary work being equivalent to humanitarian awareness, he is very involved with promoting equal rights for all. Due to this, he is against slavery and is at odds with many of the world's governments. [b]Dislikes:[/b] Blind Ignorance - he has a strong distaste for people who judge people without actually knowing them. [b]Aspirations:[/b] At the base of all his goals, is this one idea: that the White Rukh is given to all people no matter their standings or wealth, it is this that makes everyone equal. It is the founding principle of the whole world that everyone receives the White Rukh, but there are those that have rejected this and caused ripples in the structure of the world. Poverty, war, famine, they are all caused by those who refuse to accept the White Rukh and as such have caused an imbalance in the world. These people are who Silius wishes to deal with. As he believes that everyone should live in a harmonious peace, free from the horrors of war, he wants to tear out the source of this disturbance to avoid anymore grievances. His more imminent goals are to supply poorer countries with better education, clean water and that sort of thing. He has also taken part in movements against recent wars, most prominently and concurrently, the Kou civil war. A more personal goal of his is for him to polish up his now rusty skills as a magician, to use against the source of the disturbance which will require him to use his own strength. [b]Phobias/fears:[/b] He has fears that there are some who cannot, or will not, accept others and that his goal of equality is to far stretched. Even more, he fears there are those who have completely rejected the White Rukh, for they are the ones causing the deviations that produce the negative side effects that eventually cause others to fall from grace, a sort of infinite domino effect. And moreover, he hates the thought that, when it comes down to it, he cannot do much to actually prevent everything he fears will happen, from happening. [b]Hair Color:[/b] White hair from his old age. [b]Eye Color:[/b] Light blue eyes. [b]Appearance:[/b] Being an aged man in the later years of his life, Silius’ hair has whitened, with a few grey streaks running in parallel along. Unlike his time as a priest in Sasan, he leaves his head bare, revealing a small bald patch on the very top of his head. His eyes, a light blue like that of the sky, are in an almost constant stern expression. [b]Special Features:[/b] He is finely tuned with the White Rukh, though has gotten quite rusty in recent times. [b]History:[/b] Brought up in the Holy Kingdom of Sasan, Silius studied their teachings since he was very young; as his family required him to do. By taking on the mantle of a priest, he hoped to understand more of the teachings. And so he did, meditating however many hours a day to perceive the principles of the White Rukh, learning many different magical techniques as he did so. After many years of meditation, praying and lecturing, he decided to spread the word to the rest of the world. However, doing this would be in violation of Sasan's strict rules in relation to those who leave the kingdom. If he left the city, he would be exiled from Sasan forever.